In need for a travel guide to California? 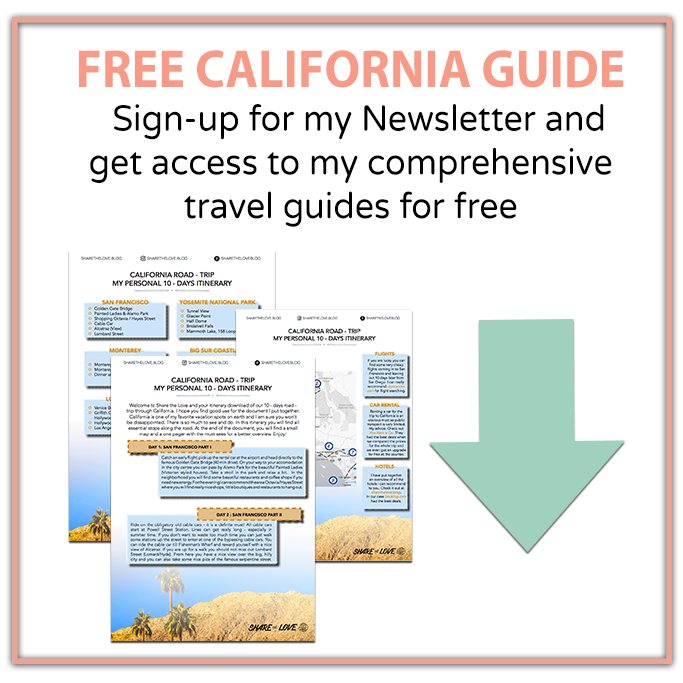 I have put together the perfect free travel guide with all the information you need and a 10-day-itinerary for a road-trip from San Fransisco to San Diego. 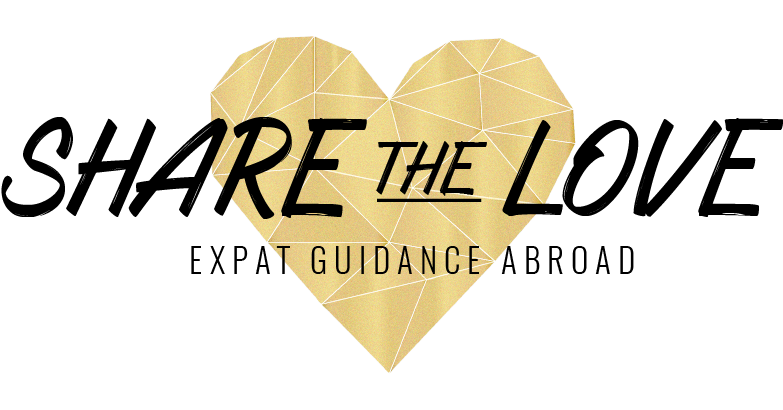 You can download the guide by signing up to the Share the Love Newsletter. The paper comes along with a map, a detailed day to day description and an overview of the best sightseeing stops in each city. Blog post of our 10-days vacation in California: Click here. Overview of our recommended hotels: Click here. Shopping tipps for the vibrant neighborhood North Park in San Diego: Click here. I hope you find this information helpful. Let me know what you think. You will have an awesome time in California! Solo Travel: How to pick your next destination?